This Monday Mystery takes a small departure from faces which makes it more difficult. 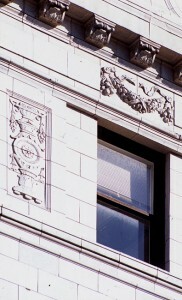 This is the upper corner of one of the taller buildings in the Westown area showing some of the classical themed decorative details. The older crowd among us may remember the building as the place to get your music. 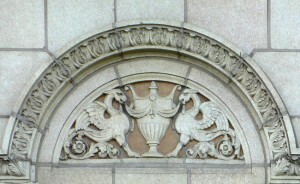 Which building is this? 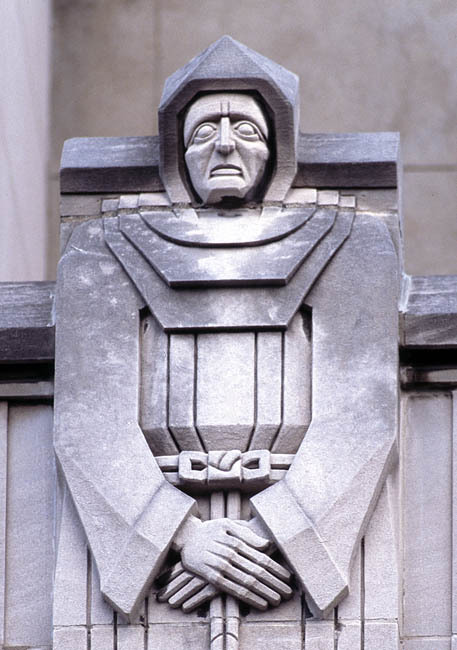 I hope everyone had a chance to come downtown this past weekend to enjoy Doors Open Milwaukee and hopefully be on the lookout for future mystery faces. 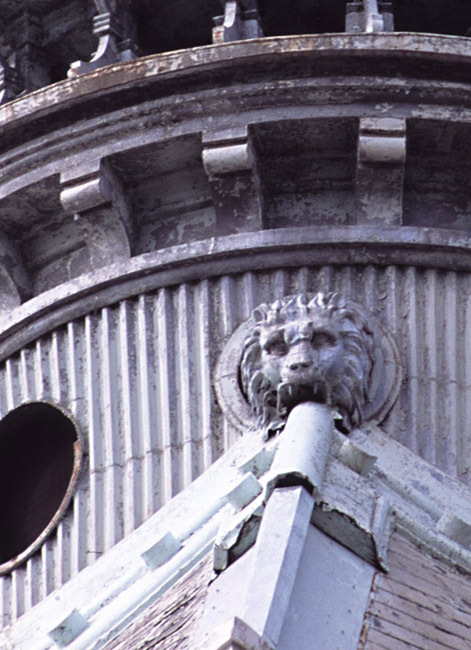 Today’s mystery is a downtown building with a face very high on the tip-top of a well known 19th century structure that was the center of exchange but it is still visible if you look well. 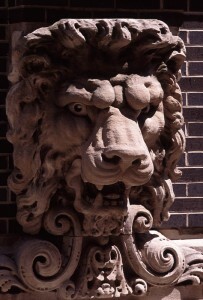 This lion was built as part of the drain system of the building. Where might this head be? A mystery for a dreary Monday. 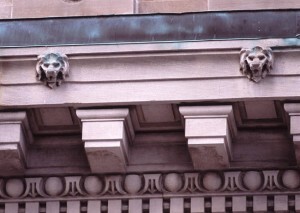 These are a couple of many lion heads on the cornice of a downtown building. The heads are small on this ornate neoclassical building but once you look up should be easy to spot! 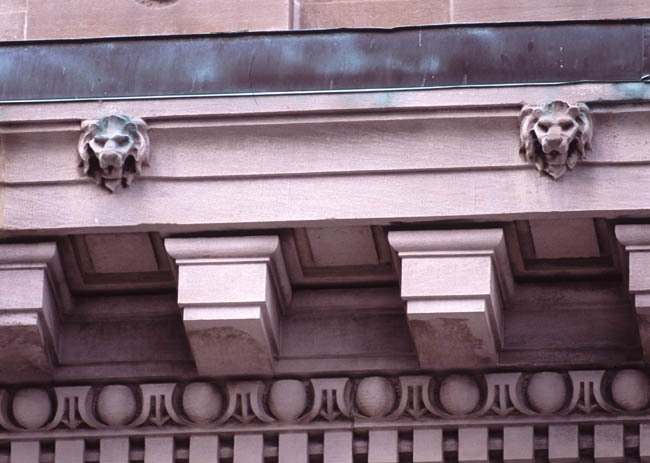 Which building are these lion heads on? 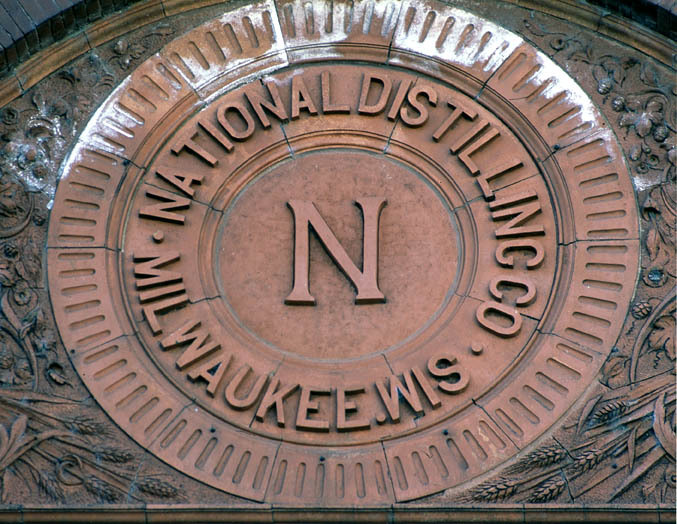 This coming weekend be sure to visit downtown for Doors Open Milwaukee to see many downtown buildings featured in the Monday Milwaukee Mystery series. While you are there pay attention to faces on buildings not yet shown so that you are prepared for upcoming mysteries! 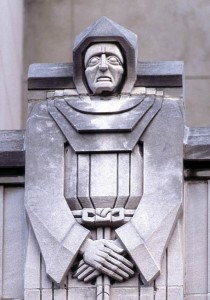 Today’s mystery monk is on a downtown building. This should be a relatively easy mystery and hopefully someone should be able to come up with the rite answer. 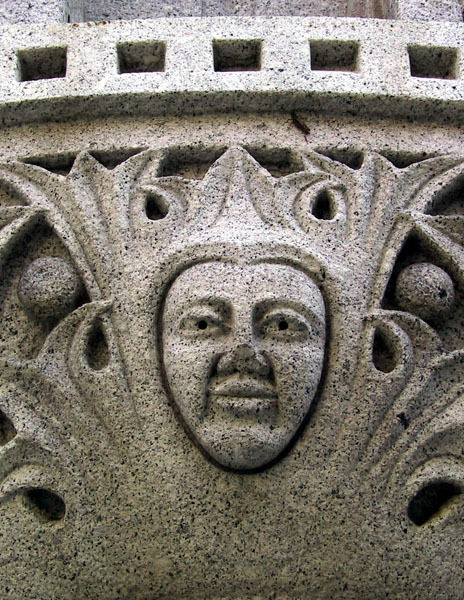 Today’s mystery face is a happy little face hidden on the facade of an Eastown building. This is a towering building. Where might it be? This week’s mystery is not a face but is a medallion that adorns the top of a Third Ward building. 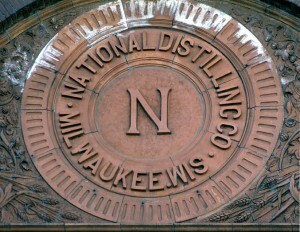 It was the one-time home of the National Distilling Company so obviously, it is a very spiritual place. 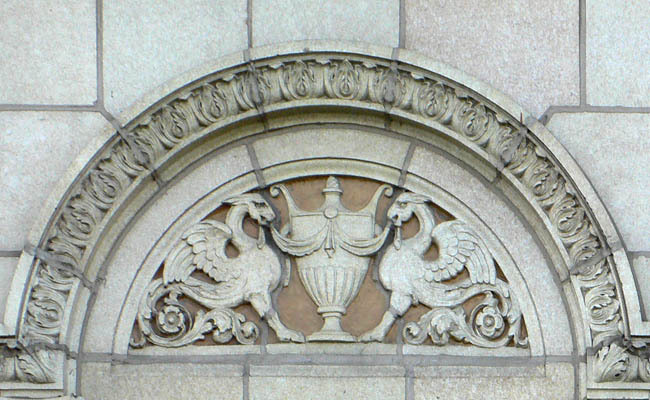 Where is this building? 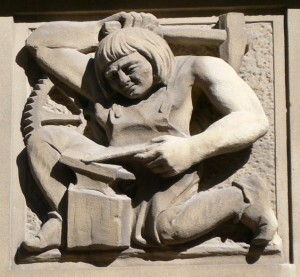 Today’s mystery face may be a little on the easy side and shows a man with an anvil. 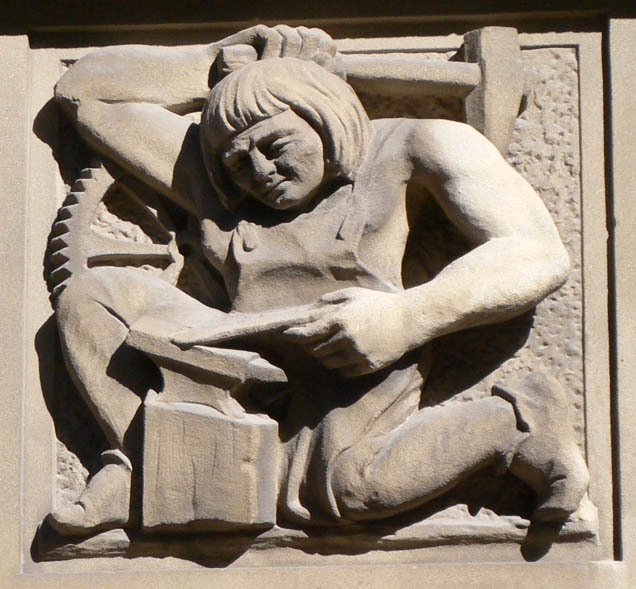 This face is on a downtown building that houses the same institution as it did when it was built back in the 1920s. Where is the building and what is it?? 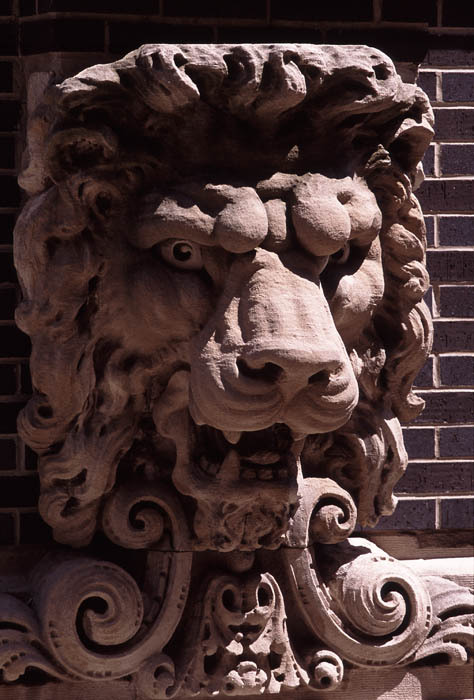 This downtown lion’s head used to be on a building but has been transplanted elsewhere now that the building is long gone. 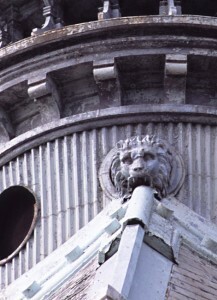 Where is it located and what building was it on?? Happy Hot August 1st! 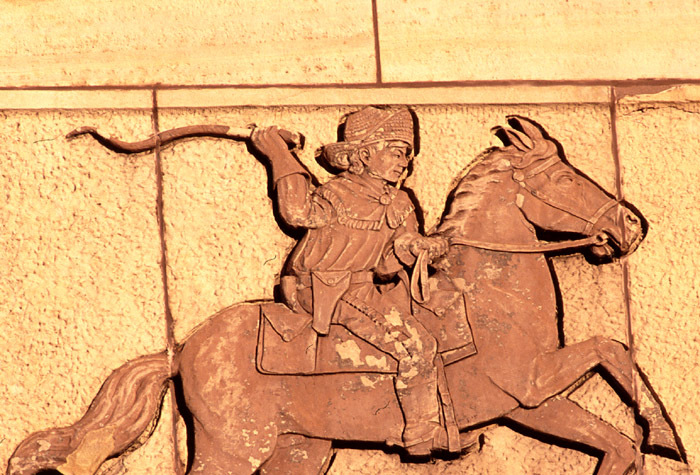 Seeing that it feels like the western desert how about cowboys? 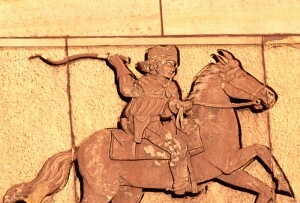 Which downtown building can this horse rider be found atop?